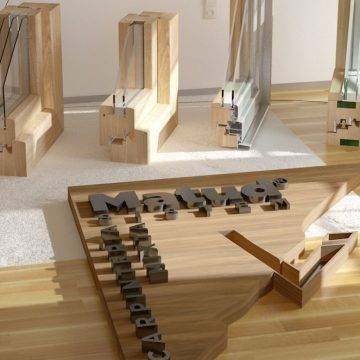 Carmave, manufacturers of mixed windows and wood. We are manufacturers of windows and doors made of wood and mixed aluminum. 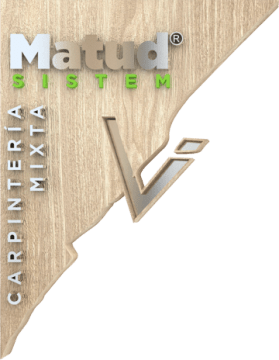 Giving the importance it deserves in the structure of wood, really can ensure that any type of wood can be manufactured or custom, both colored finishes (natural, stained…). But we must not forget the aluminum. Applying this concept in regards to the outer face of this material, it is manufactured in any color (RAL) desired. We can confirm that the isolation is perfecto. The Chair of the technology of timber has precisely done trials which corroborate the gained reliability. 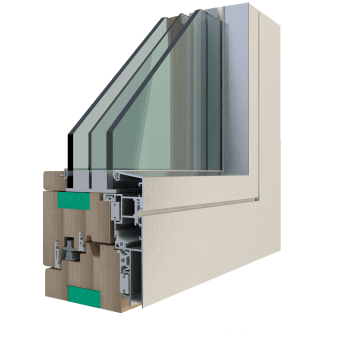 Made from extruded aluminium profiles for external, and they have a wide range of tones among which must be highlighted the white, with its adaptability in all the colors of the materials used in the construction. The interior is made of noble wood and the wood is treated using modern techniques that are subject to rigorous controls before its final docking profile. In this way we get perfect insulation of the exterior and the tranquility and energy savings that we always look for. 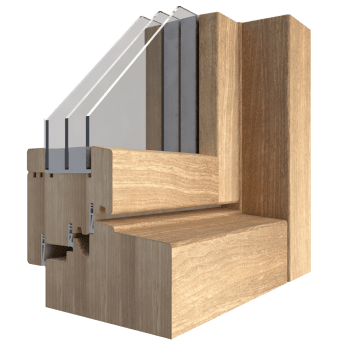 We need with the inner wood of the MATUD SISTEM Windows profiles can be treated with different varnishes. In this way we get the perfect insulation of the exterior and the tranquility and energy savings that we always. To find the right tone the special touch that we always wish we get for decoration. We manufacture almost all models of carpentry existing in the market. 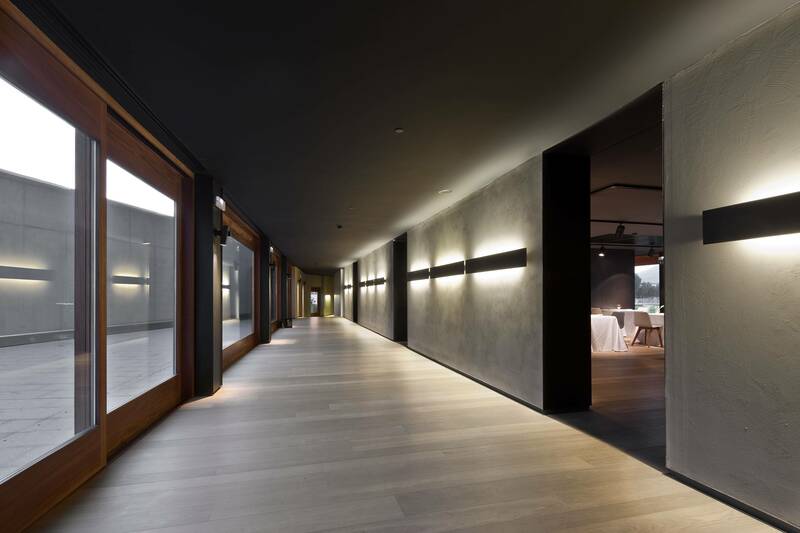 The interior finishes can be in various qualities of wood. Possibility to produce colours of the RAL card for external finishes of aluminum. This system does not need any type of maintenance both outside and inside. 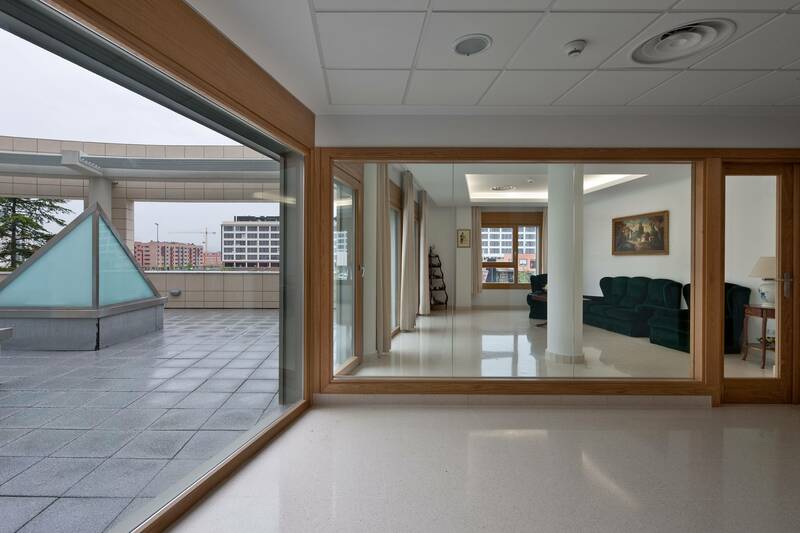 Thanks to its design we can use any type of glass, with measures from 4 mm. up to 30 mm. and without any further modification. 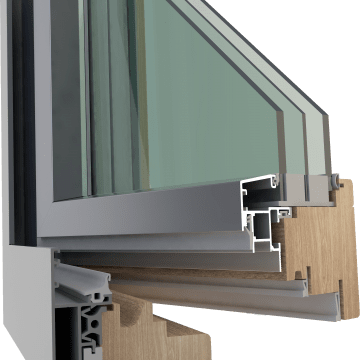 Here we have a supporting structure or profile in extruded aluminium with treated surface that supports the weather more than any other. 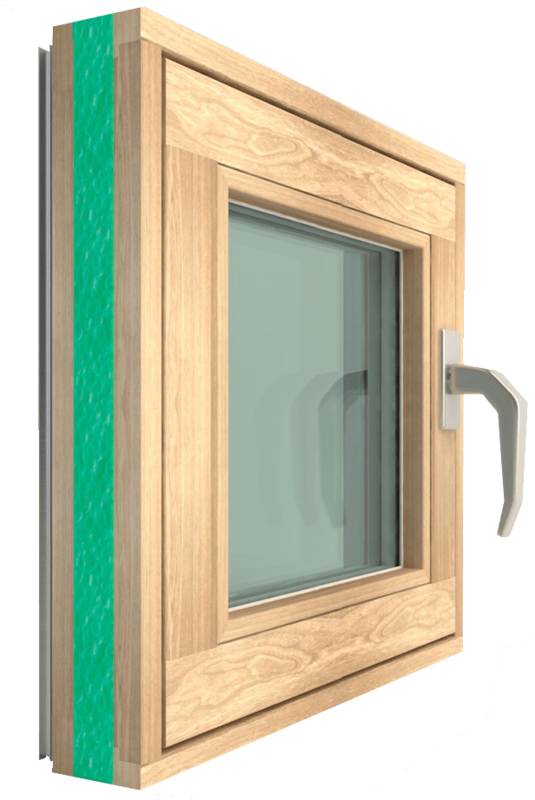 Let us not forget the anchor special thermal insulation with wood/aluminium profile. (Registered only anchor). Got a profile in solid wood natural first quality of pleasant living and working artistically. In this way we leave the way open to a subsequent varnishing suitable for decoration. 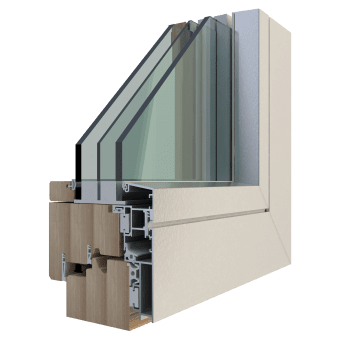 It can be placed double or triple glazing, with thicknesses up to 60 mm. with one or two cameras that increase the value of the acoustic insulation. 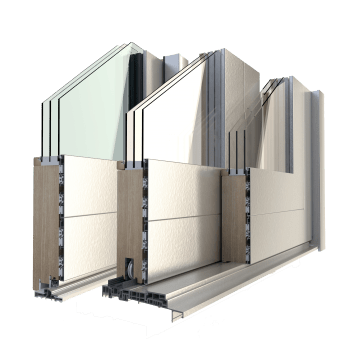 If we add to this the known union of aluminum and wood itself, it gives us a perfect system at a decorative level and at a practical level for thermal and acoustic insulation. You always have to take into account, that the acoustic isolation, will vary depending on the quality of the glass placed. However, this isn’t applicable to the own window that used wooden washers and the perimeter together (3) that form its membership, make that they or wind, noise or water from entering. And is that we have such meetings, each one exclusive precisely for each element, i.e. waterproof, soundproofing and other resistant to wind. As a whole, we see, speaks for itself only. Welcome to the UNE Standards. 85.214.80 (En 42). permeabilidad al aire. 85.206.81 (En 86). estanqueidad al agua. 85.204.79 (En 77). resistencia al viento. Our carpentry enclosures are designed and tested in laboratory. With the endorsement after tests conducted in the laboratory of the Chair of technology of timber, testing laboratory and quality control, ETSIM. -Host to the UNE.85.214.80 rules (42 in). permeability to air. -Host to the UNE.85.206.81 standards (86 in). imperviousness to water. -Host to the UNE.85.204.79 standards (at 77). resistance to the wind. Test: A3 air permeability. Reinforced. · Imperviousness to water E4. Exceptional. · The V4 wind resistance. Exceptional. With our insulation system, the energy consumption is considerably reduced. The anchoring system is quick and efficient, for easy assembly on site, after pre-frame installation. In short, a top quality finish. 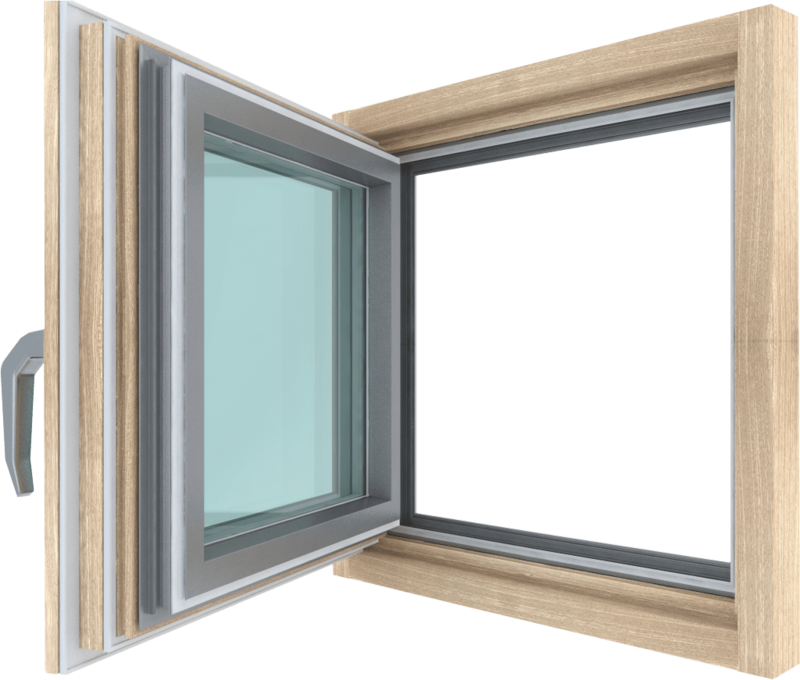 Interior coupling system formed with vertical and horizontal closure and with the possibility of tilt-and-turn opening for ventilation.